It is easy to bend and reshape an image using the PhotoshopR CS Shear Filter. 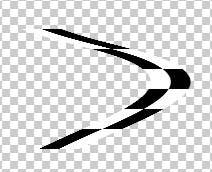 Recently a friend asked me how to bend an image using Photoshop CS. 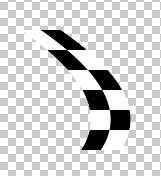 He had a long, thin border image that he wanted to bend into a curve. There are many ways to do this in Photoshop, but the one that worked best for his needs was to use the Shear Filter. Here is how it was done. Step 1. Open and prepare your image. Open the image that you wish to bend into the Photoshop workspace. It is easier to work with this image in a vertical position. If you need to rotate your image, go to the Menu bar and click Image > Rotate Canvas > 90 CW (or 90 CCW). It will be easier to see the effect of the Shear Filter if you copy and paste the border image onto a larger transparent background. Click File > New and start a new image with a larger width and height and a transparent background. Now click on your border image to make it the active image window. Click Select > All and then Edit > Copy. 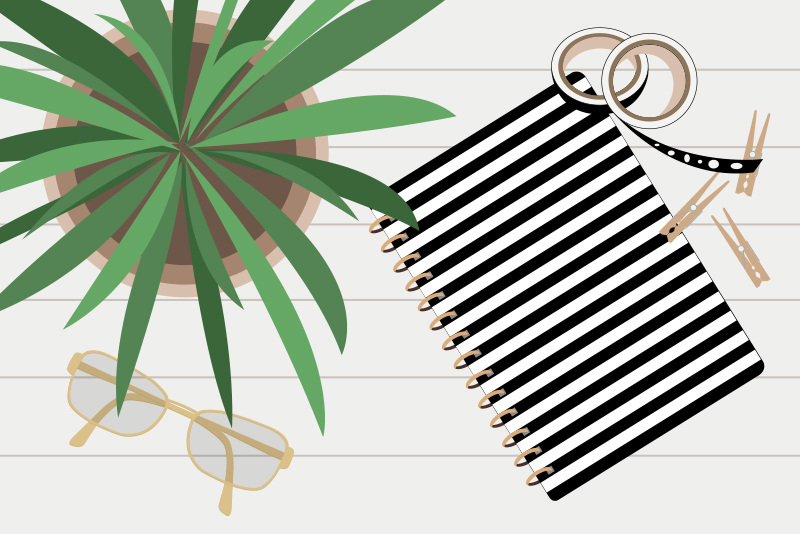 Click on your larger image window and click Edit > Paste to paste the border image onto the transparent background. Click on the Move Tool and then click on the border and drag it into the center of the background. Step 2. 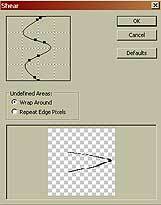 Use the Shear Filter to bend and reshape the border. We are ready to bend and reshape the border using the Shear Filter. Click Filter > Distort > Shear to open the Shear dialog box. At the top of the dialog box, you will see a thin line with two or three black dots. You can bend your border by dragging these dots to the right, left, up or down. If you want to bend the border in an S shape or another more complicated shape, you can add more dots by clicking on the line. Watch the results in the preview window. When you have the border in the shape you like, click OK to close the dialog box and apply the effect to your border image.